The QEII Centre is forecasting its best financial year to date, with its annual budget already met by the end of Q3, it has been revealed. The Westminster venue, which has 32 flexible events spaces accommodating up to 2,500 delegates, is forecasting an increase in room hire of 15.5% in 2017/18, compared to 2016/17. 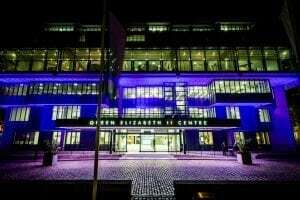 QEII’ Centre’s AV and digital services department, QEII Live, is forecasting a 28.6% increase on last year, while the catering team, QEII Taste by Leiths, has also had a record year and is likely to end the year on a 15% increase. This increase in turnover across the board of more than 18% will make 2017/18 the centre’s best performing year in its 31-year history. Since a £15m capital investment, refurbishment and rebranding project began in 2013, turnover will have grown by a remarkable 42% and the centre’s occupancy ratio will have increased by more than 32%. Looking ahead to 2018/19, the QEII Centre is already £1.3m ahead in bookings year on year.